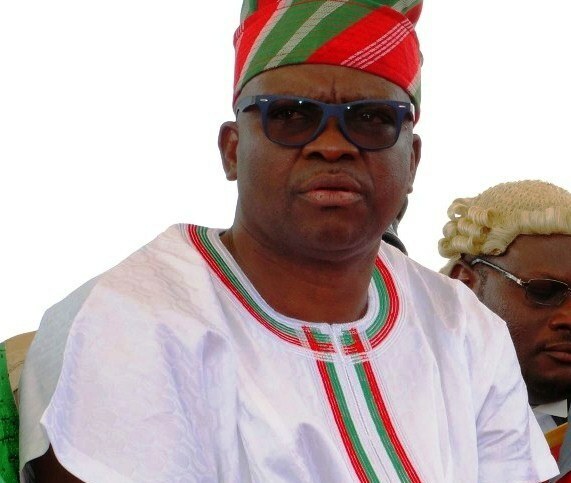 Governor of Ekiti State, Ayodele Fayose has attacked the APC, Buhari and the EFCC, faulting their corruption campaign which he said is selective. He also said the EFCC is an agent of the presidency and the APC to fight their enemies which makes the agency itself, a curropt entity. “The EFCC leaders’ opinions remain their opinions and if they are so sure of whatever information they have, they should go to court and stop subjecting Nigerians to media trial and that no amount of media trial from the same elements that orchestrated my removal in 2006 can erode my popularity among Ekiti people. “As a promising candidate of my party, I cannot stop Nigerians from supporting my election like every other candidate of other political parties, including President Buhari. “If they have anything against me, they should keep their gun powder dry, because in 2006 when they took me to court, their allegations crumbled like a pack of cards because court decisions are founded on facts and law, and not on media trial as currently being done by the EFCC as tele-guided by the APC leaders in their desperation to set the people against me knowing fully that they are not on the ground. “Having failed to buy the conscience of the Ekiti House of Assembly members, the APC people have become increasingly afraid of 2018 and the agencies of the Federal Government should know that no matter how hard they try, Ekiti electorate will not be deceived by their blackmail and media trial. “The EFCC should be told in clear terms that this is 2016 and not 2006 when impeachment notices against governors were signed on the table of the EFCC operatives. Those who are tele-guiding the EFCC now should also be reminded that they did more than what they are doing now in 2006, yet I was overwhelmingly voted for by the Ekiti people eight years after the orchestrated impeachment which the Supreme Court declared illegal.